Although the Super Bowl has given way to the Rodeo, the march of new restaurants continues on unabated. 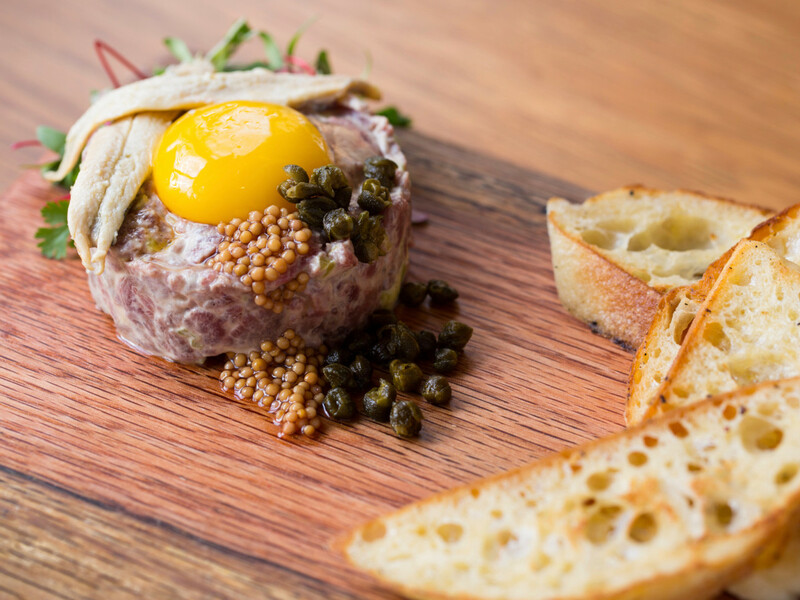 This month’s list features three restaurants that arrived in Houston after originating in other cities, the latest project from the reigning Tastemaker Awards Chef of the Year, and a new concept from a veteran chef who’s finally stepping out on his own. This month even offers some geographic diversity with options in Sugar Land, The Woodlands, and Garden Oaks/Oak Forest that provide some alternatives for those people who don’t spend all of their time inside the loop. As always, they’re ordered roughly by how important I think it is that people try them, but this month’s list is so strong from top to bottom that it may have even the most dedicated Montrose denizens exploring beyond their neighborhood. Let's dive in. 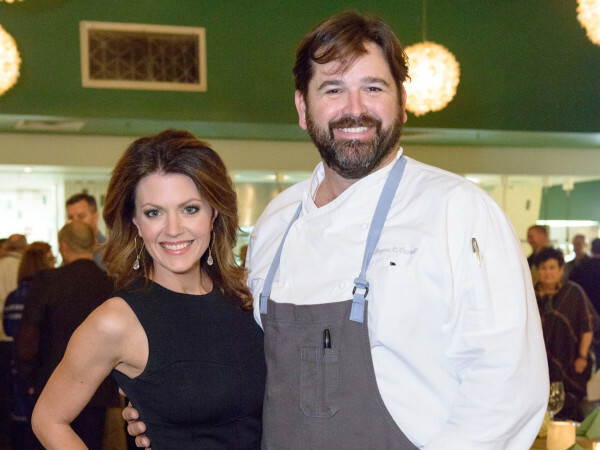 At his newly opened restaurant in The Heights, executive chef Travis Lenig assimilates the experiences he gained at Mark’s, Ibiza, and Liberty Kitchen into a cohesive whole that serves as another riff on the modern Southern food trend that’s swept the city at restaurants ranging from Lucille’s and Bernadine’s to Southern Goods and Harold’s in the Heights. 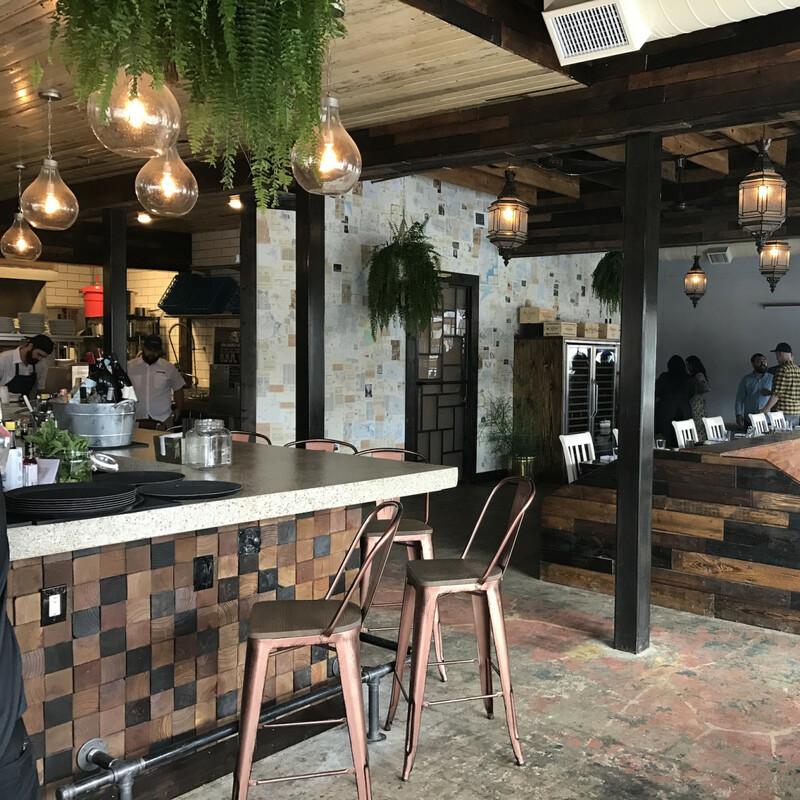 Lenig and his partner, Christopher “Chico" Ramirez, have implemented a comprehensive renovation of the former Zelko Bistro space that opened up the dining room and expanded the patio. These changes give the room a comfortable feel that makes it appropriate for both a date night and a casual gathering with friends. After a visit to Presidio, I have concluded that you can take the chef out of Pax Americana but you can’t take the Pax Americana out of the chef. Tastemaker Awards Chef of the Year winner Adam Dorris may have left Pax, but he still remains intensely interested in using well-prepared local ingredients and blending Asian influences into Southern dishes. 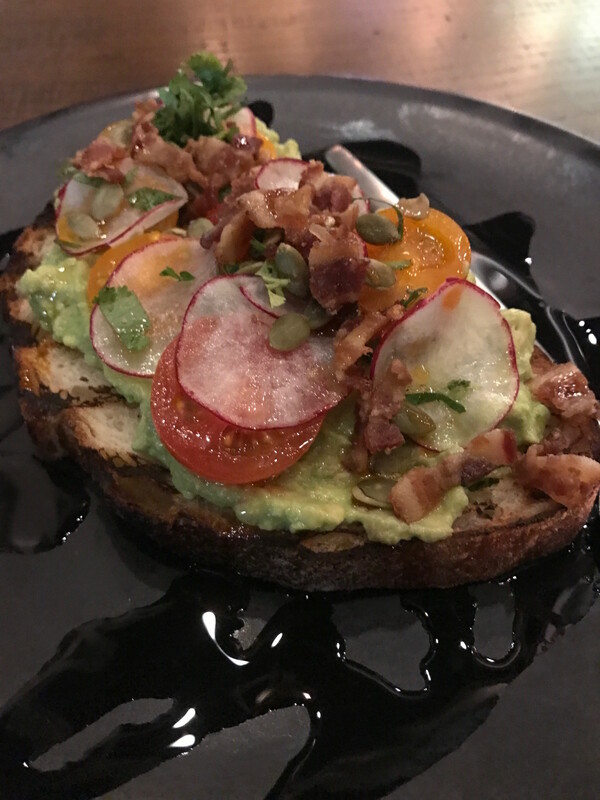 The biggest difference is that Presidio has a more casual, family-friendly atmosphere than his previous post, thanks in part to its two large patios, live music on the weekends, and the absence of an original Andy Warhol on the wall. In terms of cuisine, intricate dishes of roasted vegetables and well-prepared Gulf snapper, i.e., dishes that feel very Pax-like, mix comfortably on the menu with a burger, fried chicken wings, and Granny Rose tacos — an instant classic of fried tacos filled with ground beef, cheese, and onions. 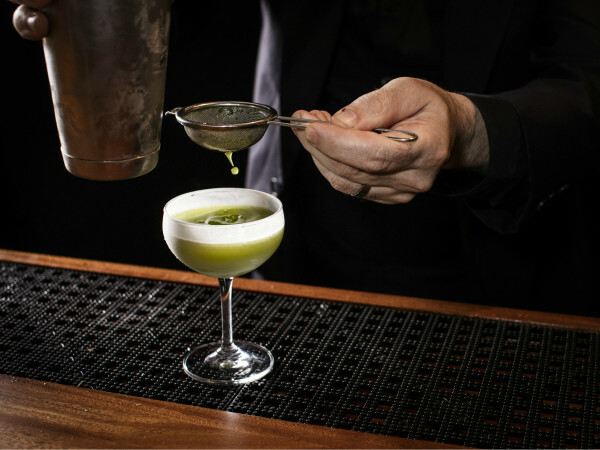 With partner Charles Bishop on board (Southern Goods, Cottonwood), it’s no surprise to find an eclectic mix of craft beer, well-priced wine, and creative cocktails. That a chef worked at a golf club isn’t typically a ringing endorsement of his talent, but some stand out. 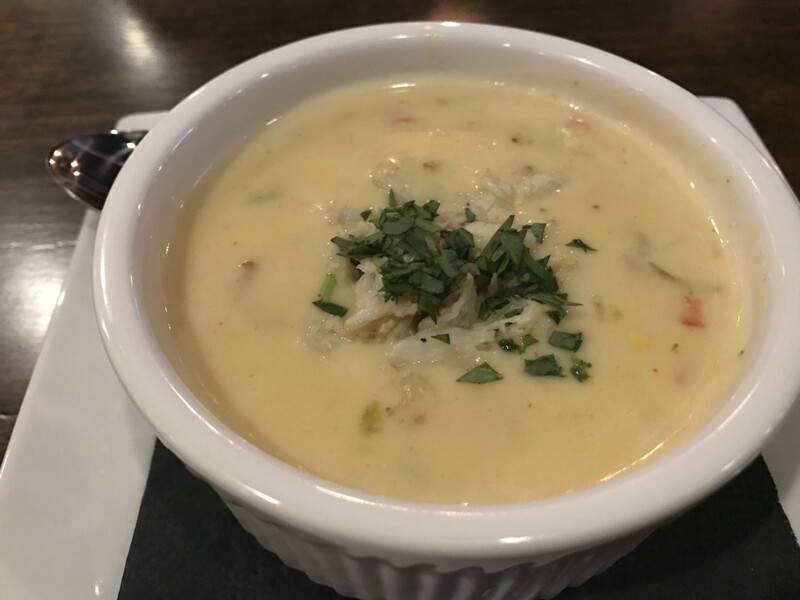 Consider Pinch Seafood’s Clinton Page, who moved to Houston after working in the restaurants at Augusta National, the famous home of The Masters golf tournament. 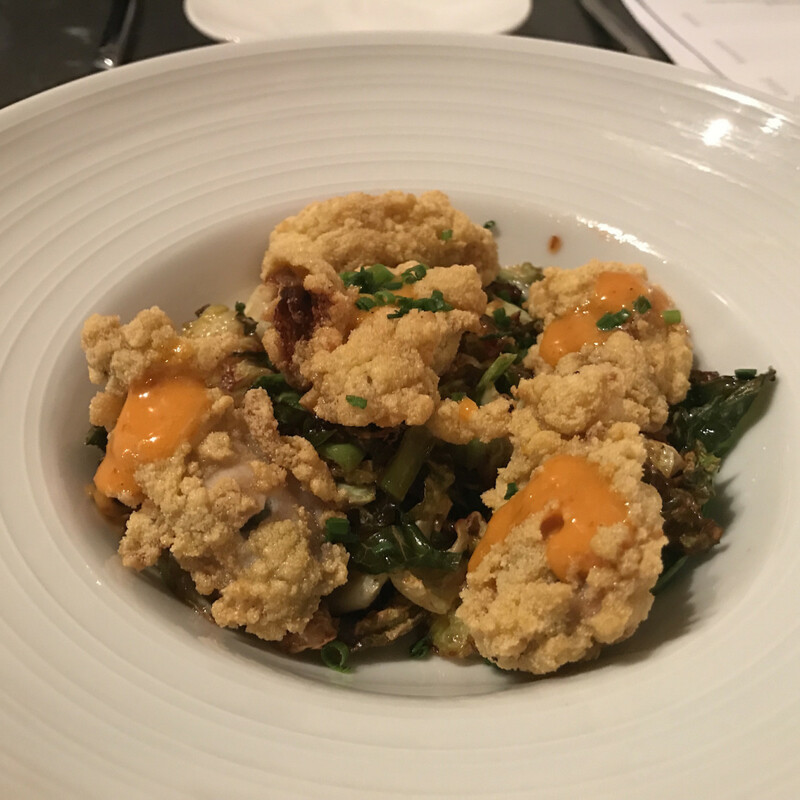 Jokes about pimento cheese sandwiches aside, Page certainly knows what he’s doing at this sports bar-seafood restaurant hybrid. 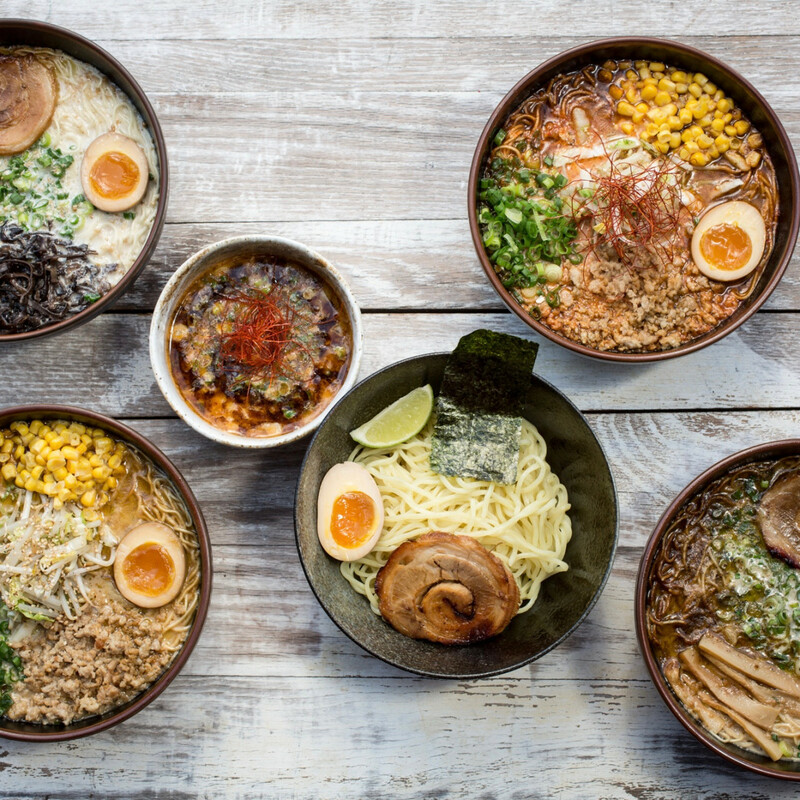 The acclaimed Austin ramen shop has finally opened its location in Montrose. As with most imports from the capital city, its arrival has created a predictable frenzy with lines of people standing on its covered porch at peak times. 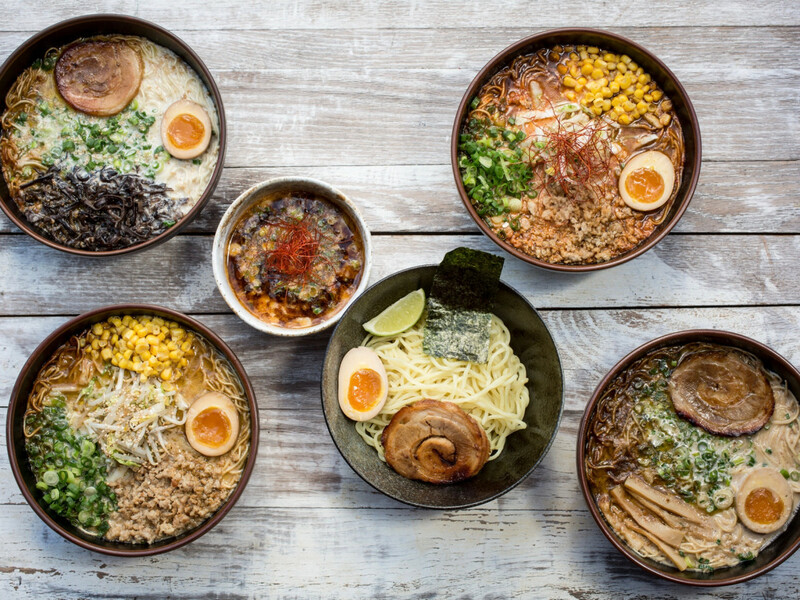 After two visits, I’m not quite ready to declare it Houston’s best bowl of noodles, but Tatsu-Ya does offer a very satisfying dining experience. Working as part of their consulting firm H3D Hospitality Design, Cafe Annie co-owners Candice and Lonnie Schiller (also a CultureMap investor) created this Texas-inspired remodel of the restaurant at the Sam Houston hotel downtown and tapped chef Chris Loftis (Killen’s Steakhouse, Number 13 in Galveston) to develop a seafood-oriented menu. 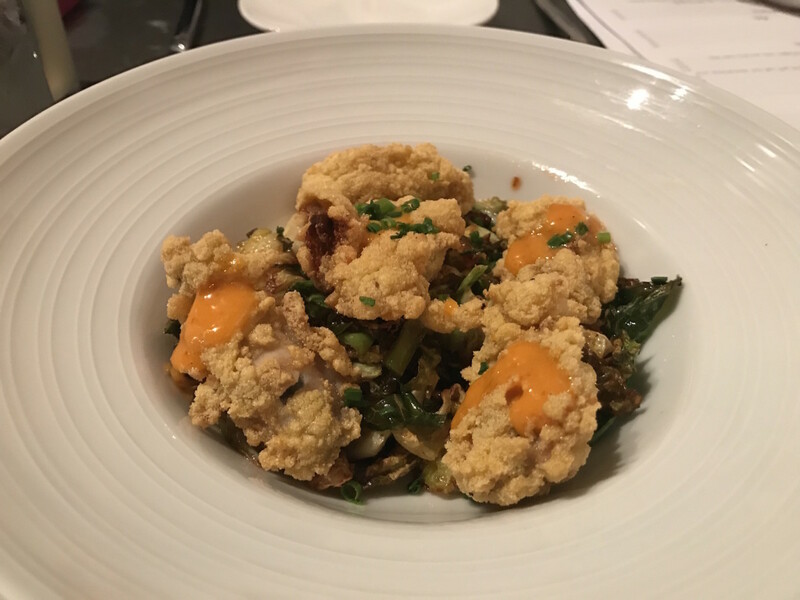 The chef brings a few twists to classic dishes like adding pickled jalapenos to fried oysters and pickled mustard seeds and anchovies to a steak tartare dish named for local food writer Jodie Eisenhardt. Seared grouper over lentils and corn delivers a little sweetness to contrast the meaty fish. Don’t let the bacon-obsessed name fool you. 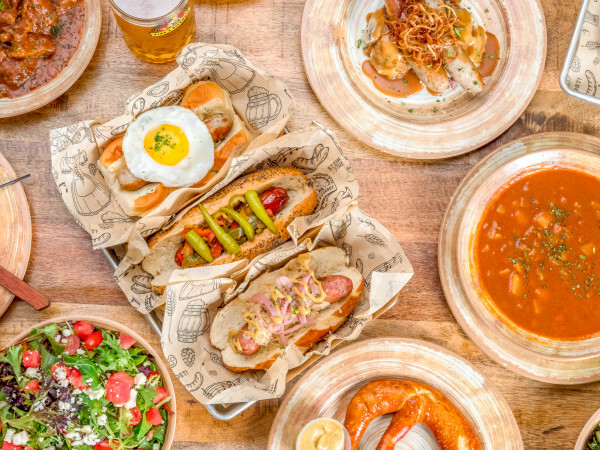 This new Sugar Land restaurant, the first Texas outpost of a popular concept that began in Greenville, South Carolina, is more than just a bacon-obsessed dining experience. 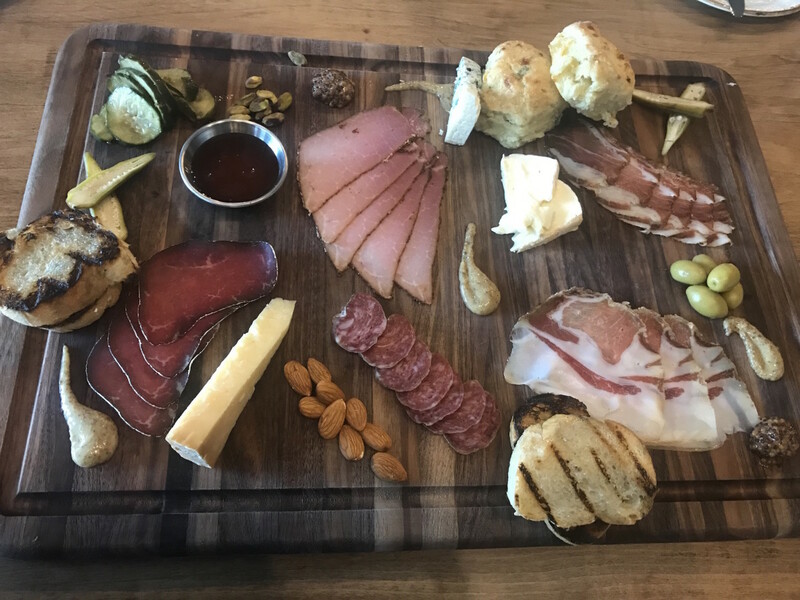 Located across from the Perry’s Steakhouse in Sugar Land Town Center, the restaurant immediately attracts attention with its charcuterie curing case that’s visible from the street. 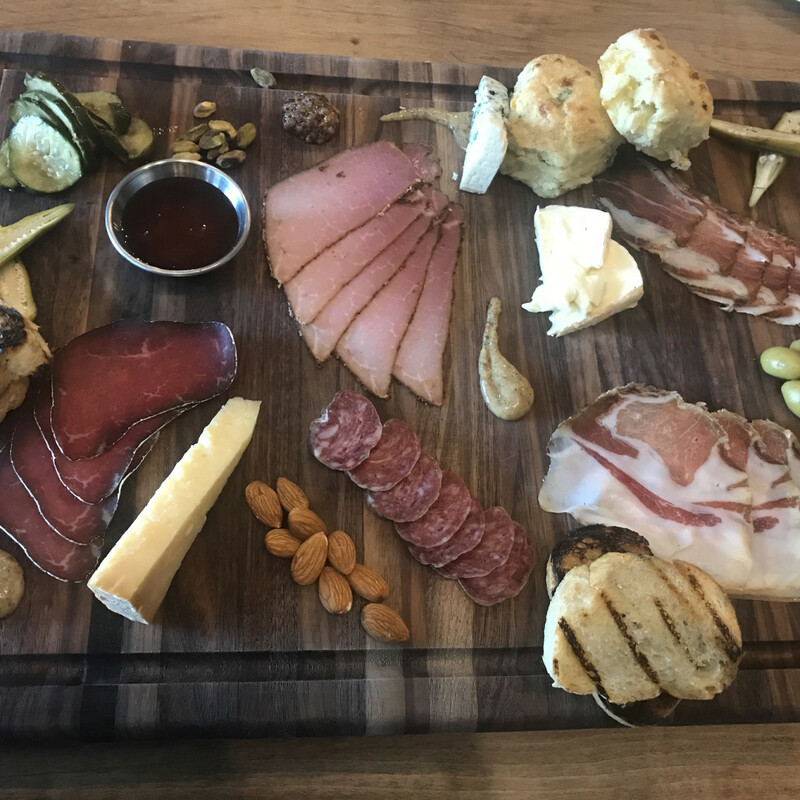 Start with some of that charcuterie, then move to tater tots that are filled with cheese and pulled pork and topped with crispy pig ears. A hulking pork chop comes with roasted apples and sweet potato puree, while the shrimp and grits comes with some of the creamiest grits I’ve had recently. Even after a couple of visits, I’m not quite sure what to make of this recently opened California import. 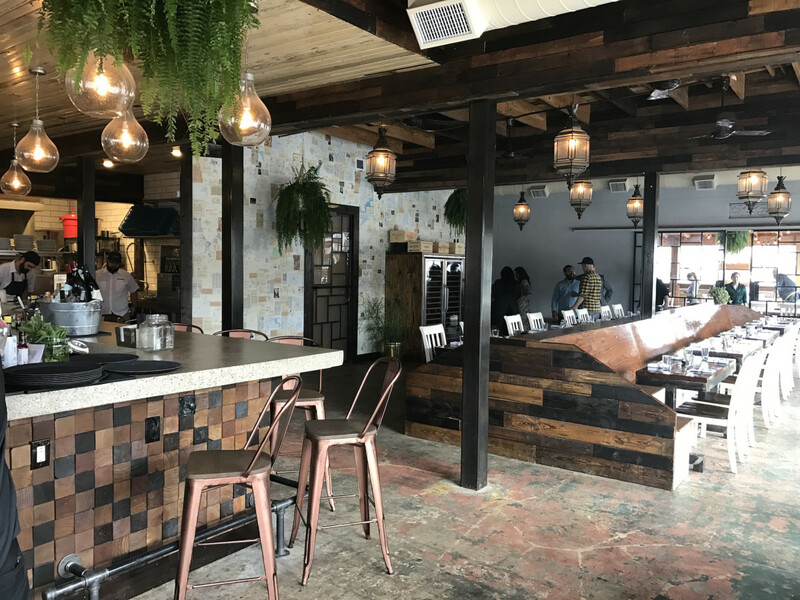 On the one hand, Bosscat’s owners, chef, and beverage director all moved to Houston months before the restaurant opened to get a feel for the city, build relationships with the food community, and learn about local purveyors. I’ve enjoyed dining at Bosscat thanks to their well-balanced cocktails and flavorful dishes like pig candy (fried pork belly bites with kimchi), pulled pork hushpuppies, and the Bosscat burger. On the other hand, the service still needs some tweaks. Asking about the toppings on the Bosscat burger inspired a two minute soliloquy by a bartender who felt it necessary to explain to me what umami is on the way to telling me they don’t accept substitutions on that one dish. I respect that (a chef is entitled to his creative perspective), but I still want to know in advance there’s blue cheese on the burger. On another visit, a server spent another two minutes explaining the sections of the menu, which is not great given the way it interrupted the table conversation. I can’t tell whether everyone gets subjected to this (hopefully not — we understand what a sandwich is) or he was showing off because one of the owners stopped by the table to say hi. 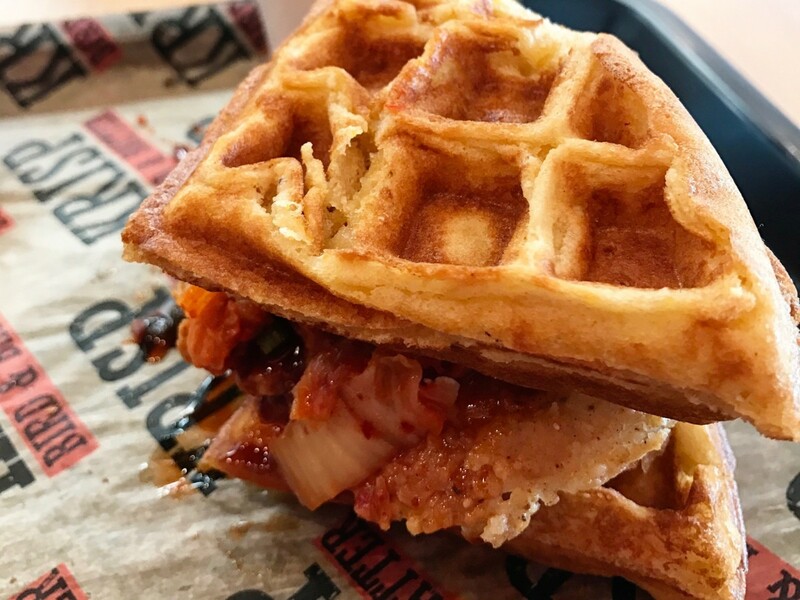 Chef Ben McPherson (Batanga, Prohibition) recently launched this new fast casual concept devoted to crispy chicken sandwiches that are made with meat made from ethically-raised, non-GMO birds. 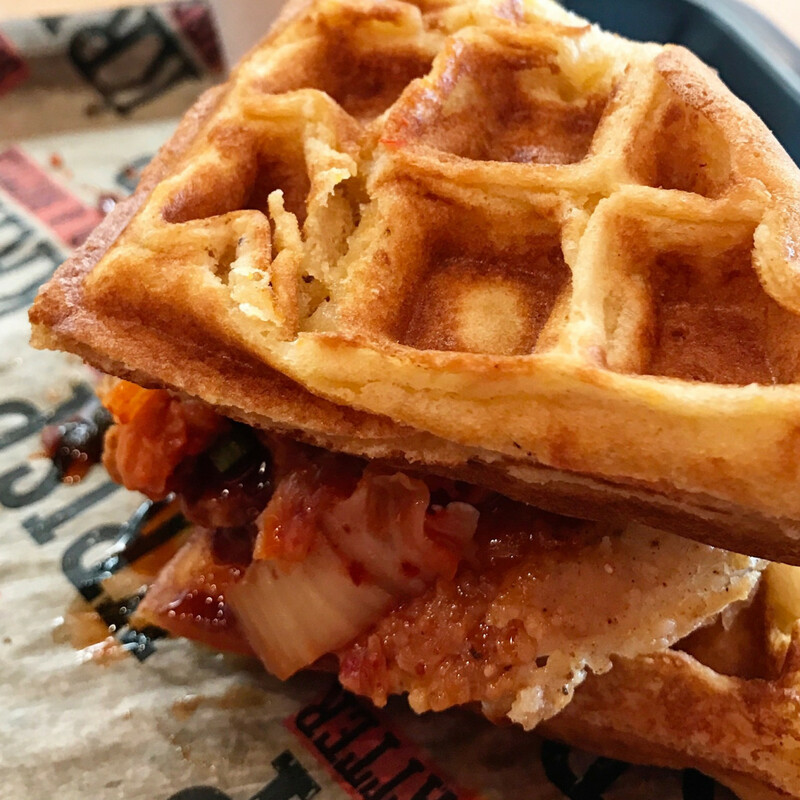 Whether in classic (topped with cole slaw) or Korean (topped with kim chi and Korean chili sauce), the sandwiches live up to their name of being appropriately crispy. I like the somewhat soft waffle as a bun option, but a friend wanted it to be firmer. 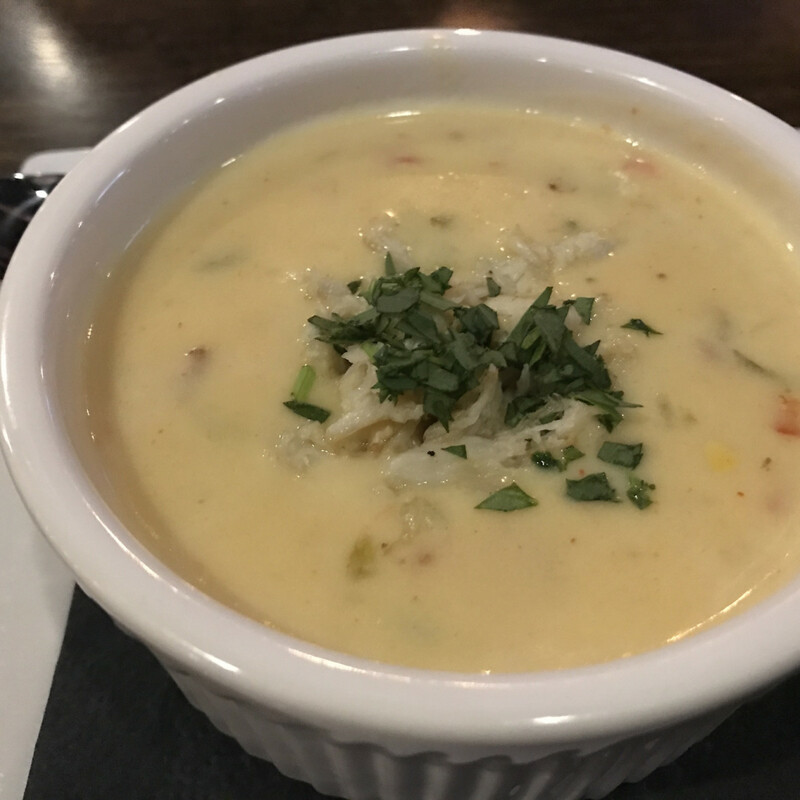 This recently opened addition to the restaurant row at Hughes Landing in The Woodlands offers an alternative to the local (Local Pour, Blue Fish sushi) and national (Del Frisco’s Grille, Fogo de Chao, etc) chains that occupy the area. Executive chef Hilda Ysusi is a Culinary Institute of America graduate who comes to The Woodlands after spending time honing her skills in several Miami restaurants. 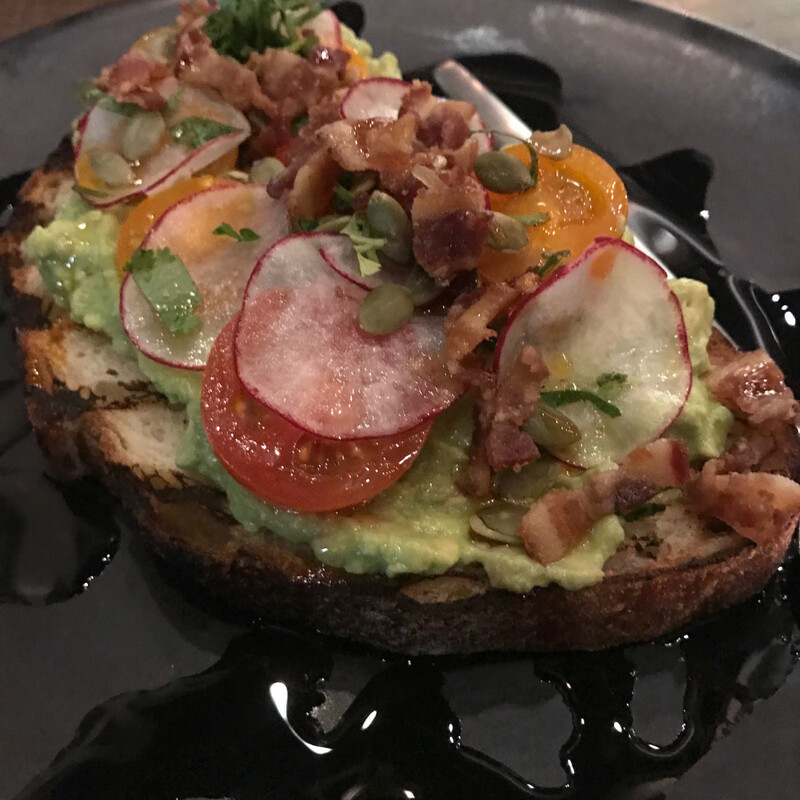 Her tapas-style menu offers a mix of globally-inspired dishes that range from paella arancini and roasted rainbow carrots to cochinita pibil tostones and grilled hanger steak. In addition to a full range of beer and wine, the cocktail menu features Spanish-style gin and tonics where different spirits are matched with various fruits, herbs, and spices that complement their individual flavors. Want more new restaurant ideas? 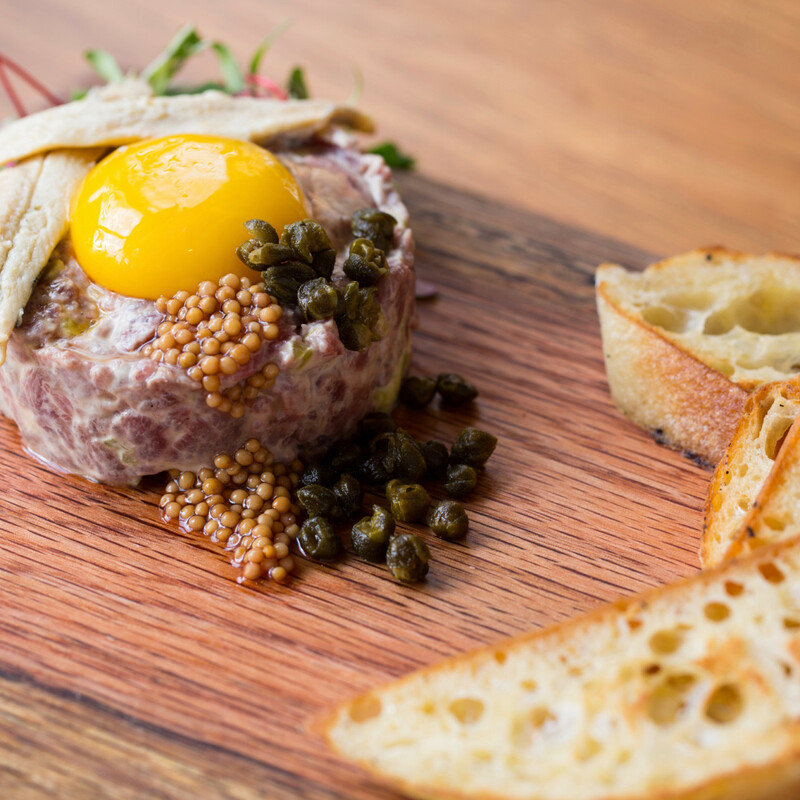 Check out the picks for February, January, and the best new restaurants of 2016.